Aditi Malhotra is an upcoming singer-songwriter based in New Delhi; whose journey began at a very early age. Her training as a Hindustani Classical vocalist for nearly ten years made for some of her earliest influences, while her interest led her to explore various different genres of western contemporary music such as soul, RnB, jazz, blues and bossa nova. Aditi has won a number of state and national level, solo and a cappella singing awards. 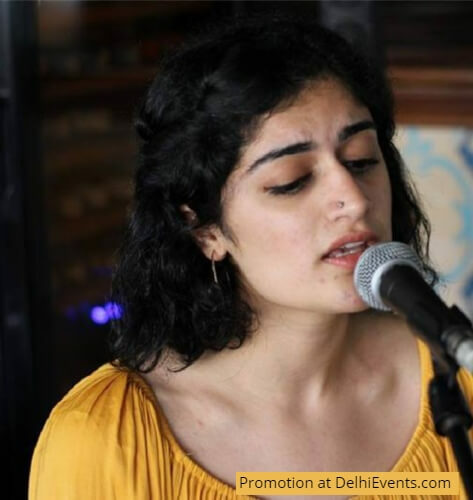 Having trained under the likes of Raphaelle Brochet, Luiza Sales and Vasundhara Vee, Aditi has performed with various projects in Delhi and NCR, such as Los Gatos, Poco Loco, Voicestra and Neon Skies, and works as a session artist as well. She is also currently a member of the voice faculty at One World College of Music in Gurgaon. A New Delhi based artist, Vikramaditya Negi is a soul that craved to seek the beautiful stories of the world and whose mind hungered for pure artistic brilliance and genius. He strongly devoted himself to his arts at a very early age. Blessed with a genuine sense of sound, he made the most of his talent by carving it into a distinguished skill as he trained under Shri Ajay Kumar Pathak as a Hindustani Classical Dhrupad and Khayaal vocalist. With the fascination for its elements and his sheer hard work, he broadened his focus to incorporate the different sounds and concepts of western music, therefore deciding to study it formally with the guitar as his principle instrument. The artistic inclination of his mind, however, was not only confined to music. He has been an avid writer since he was very young, looking to find and share the beautiful stories he came across or which came from within him. While exploring all of these aspects of art, he worked towards synthesizing his different skills, and has come to be an exceptional artist.